Included in delivery is the cable remote display with easy to read LCD figures. It can be mounted on a table or hung on a wall at eye level. The display can be operated intuitively and is equipped with many intelligent functions: Thanks to the HOLD function, the patient can first be attended to before the result is noted. The innovative Memory-function of the seca 656 is particularly practical – for example in the casualty department before an operation: the total weight of the patient including stretcher or wheelchair is first determined. After again weighing the stretcher or wheelchair the net weight of the patient appears automatically. 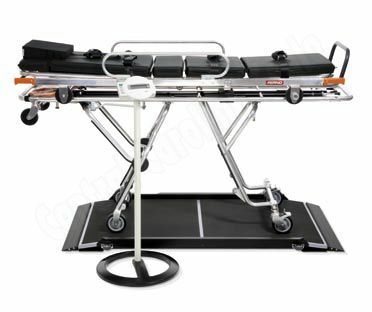 With the pre-TARE function, the additional weight of auxiliary aids can also be deducted from the total weight while actually weighing the patient. And, finally, the individual nutritional condition of the patient can be ascertained with the aid of the BMI function. 35 x 2.8 x 45.6"
7.8 x 2.2 x 6.1"
31.5 x 2 x 57.9"